Burglars often bluntly force their way into properties, resulting in large amounts of damage to the door and the door frame. Without immediate repairs or replacement, a damaged door or door frame leaves your property and belongings at risk. The team of skilled locksmiths at ASL Locks specialise in same day burglary repairs. 24 hours a day, 7 days a week our team will come to you anywhere in London and provide professional door repairs or Emergency Door Replacement London following a theft. We’ll make certain your home or business regains its security and that you regain your peace of mind. 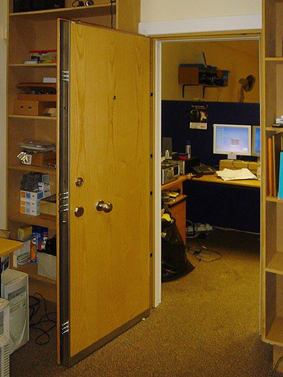 We specialise in emergency door replacement for london. The strongest product we offer; Titan doors are manufactured from steel and contain 22 solid steel bolts that engage into the solid steel frame. Over 100 models to choose from, available in any size or colour. Adheres to all safety & fire regulations and will not warp or rot. Registered keys and general locksmith services. On the left, is the original door after a burglary. Note how the wooden door has been smashed around the lock. ASL was very quick to replace our flat entrance door after a break-in. Jim was also conscientious when it came to measuring-up for a steel door replacement, getting back to us with answers to our questions. I would recommend ASL as a rapid solution in a situation such as ours. Very impressed by ASL and by the professionalism of their work. They did an excellent job by putting anew door for us. They listened to our questions and clarified technical matters we had questions about. They finished the job to my satisfaction. They left every thing clean and tidy when they finished the job. I am very pleased with them and give ASL a 5 star. I was very impressed by the quick response by ASL to an emergency situation when my elderly sisters flat was forced open by the emergency services. A new temporary door was measured up and fitted within a matter of hours of my call to them and the old Victorian door was removed to allow an exact replica replacement to be made, incorporating current building standards. The new door together with a completely new frame and architrave has now been fitted and I am more than satisfied with the excellent workmanship that the helpful and friendly team displayed throughout the whole process. We have used ASL for a few years now in our capacity as Managing Agents and have always found them to be helpful and prompt in dealing with our requests. Last night a tenant in one of our buildings lost his keys and I was trying to contact ASL to get some keys cut for him. As I was contacting them on one line they were calling me on another line to tell me that a taxi cab driver had found a set of keys in the back of his cab and noted that they key had their telephone number on it as well as a code. ASL were able to identify the building to which the key belonged through their records since they had fitted the locks and cut all the keys and then they called me and I have been able to let the tenant know to contact the cab driver to get the keys back. This is they type of service you get from a good reliable local business who not only take pride in what they do as part of their job but go that extra mile and take the time to help a customer who will remember this in the future. I have used ASL a couple of times now and on each occasion the job was completed to a high standard, quickly and cleanly. 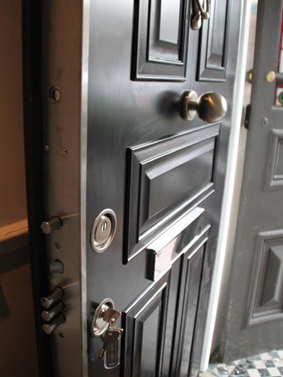 It’s not easy finding a reliable, competent and affordable locksmith in London. I will continue to use and recommend ASL. Brian did a very professional job. The door looks like the door to a safe; I can't imagine getting through it without a bomb. We had an attempted break in but feel much safer now. Irreparable damage to front door following burglary. Having had previous experience of ASL's swift service in 2007, rang their freephone number on Tuesday this week, they came for an appraisal of the damage within 30 minutes. New custom made door fitted on Wednesday (next day). Excellent workmanship. Recommended. 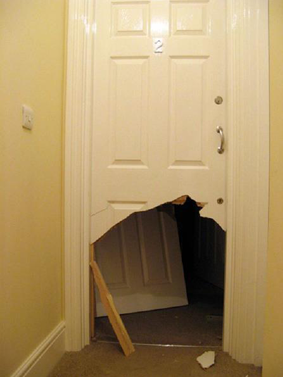 I have just had my door fitted by ASL. 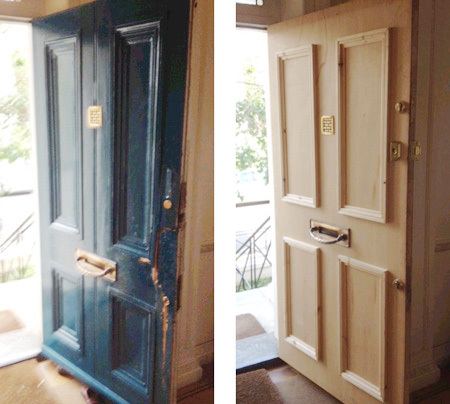 I am really impressed by the quality and finish of the door - it looks brilliant, and was expertly fitted. To complicate things, I needed the new door to be identical to the others in my building and ASL have successfully managed that, and made it look like an easy process! I would only use ASL for any security work I need done in the future. Arrived on time, measured up, installed a non-standard replacement door and locks quickly cleanly and with no fuss. All round friendly and helpful service - what more could you ask for. Would definitely recommend. Copyright © 2017 emergencydoorreplacement All Right Reserved.